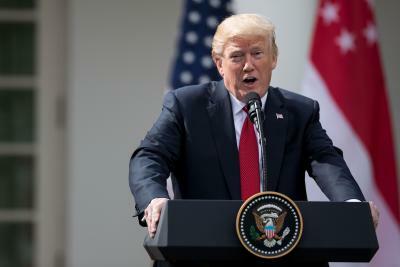 Washington, Oct 27 (IANS) US President Donald Trump has allowed the publication of 2,800 documents on the 1963 assassination of his predecessor John F. Kennedy that had been classified to date. He, however, stopped short of a “full disclosure” order after lobbying by the Federal Bureau of Investigation (FBI) and the Central Intelligence Agency (CIA), Efe news reported. Of the 3,100 documents held in the National Archives, some information must remain classified for the time being due to national security concerns. Trump ordered his team on Wednesday to review the retained or censured documents over the coming six months and decide by April 26, 2018, whether or not to release them. It is possible that more could be released after that point, a top US official said. “Executive departments and agencies have proposed to me that certain information should continue to be redacted because of national security, law enforcement and foreign affairs concerns,” Trimp said in a memo. “I have no choice – today – but to accept those redactions rather than allow potentially irreversible harm to our nation’s security,” he added. Trump said that the US public expects and deserves the greatest access possible to the archives on that historical event. The security agencies have expressed concern that the documents in question might expose the identity of certain still-living individuals and their role as informants. Some 88 per cent of the records linked to the November 22, 1963, Kennedy assassination have been publicly available since the late 1990s. An additional 11 per cent of the documents have been released with redactions since then. The documents released on Thursday include some of the remaining files and some redacted portions of documents released earlier. The National Archives was scheduled to publish on Thursday on its Web page the declassified documents in compliance with a 1992 law.